No visits to McDonalds today for my family! I blended up a batch of chocolate Shakeology today that tastes just like Girl Scout thin mint cookies! 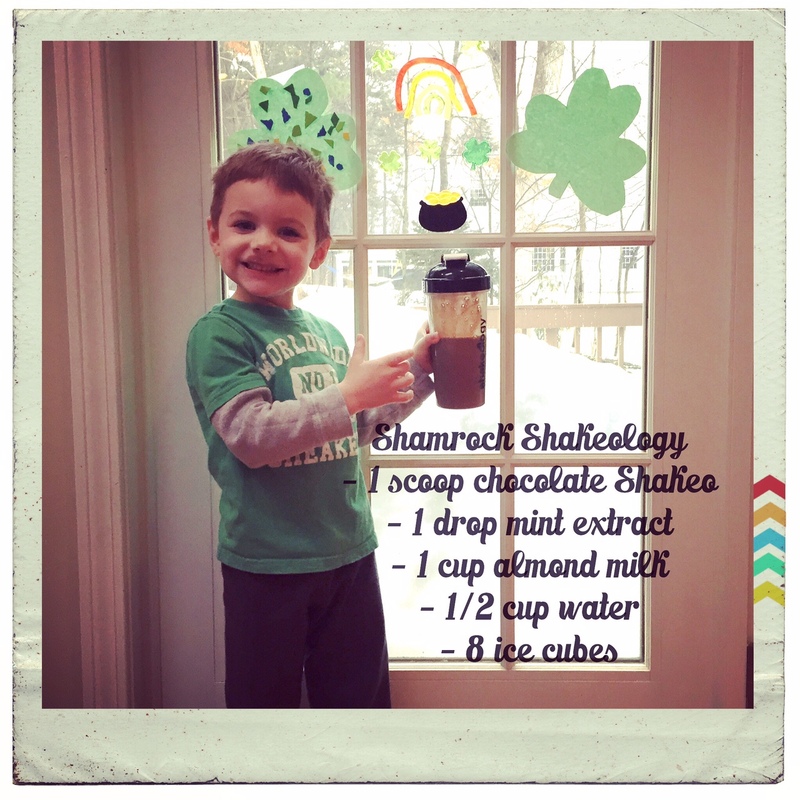 I added the recipe on the picture of my little buddy enjoying his St. Patty’s Day shake. I actually used Young Living Peppermint essential oil instead of mint extract, but I know not everyone has that on hand. Loaded with artificial flavors, high fructose corn syrup, and other ingredients I can’t even pronounce. …All natural with 70 different ingredients including super fruits and vegetables.